Establishing a presence on Facebook is as important for your business as setting up a website was, say, five years ago. The problem is, just like launching a website, setting up your company's Facebook business page is not exactly intuitive. Of course, the basic steps of setting up a Facebook business page are, well, basic. You just register your page, invite friends and customers or clients to “Like” your page and secure your unique page username or short address -- that is, Facebook's web address, slash your company's name (e.g. www.Facebook.com/yourcompanyname). But there's a lot more to creating an enticing business page than just slapping your logo on it, adding a few coupons and hoping customers and potential clients will stumble across it. To go beyond the basics, brands, corporations -- and even celebrities -- have been chomping at the bit for Facebook's recommendations on consultants who can help enhance or create a more engaging Facebook business page -- replete with contests, customer questionnaires or even adding on Facebook-integrated social features to their own websites. Enter Facebook's Preferred Developer Consultants program, which the social network launched a little more than a year ago, to help businesses like yours enhance their prowess in using Facebook's many business-oriented products and technologies. 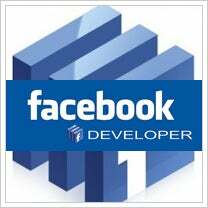 What's more, Facebook announced this week that it now has a list of more than 60 Facebook preferred developers and promises that more will be added before the end of the year. These consultant firms service businesses from fledgling startups to Fortune 500 companies. Facebook claims that thousands of companies and brands have already taken advantage of these consultants to improve the success rate of their online media efforts. Still, Facebook was quick to note that hiring a consultant doesn't guarantee success. However, tapping a vetted consultant does ensure that you'll be working with someone who has met Facebook's expectations and criteria for acceptance. Now for a brief reminder of what's at stake: About 10,000 websites have integrated with Facebook every day since social plug-ins launched last year. Add to that the fact that more than 500 million people use Facebook each month, spending more than 700 billion minutes a month on the site and installing more than 20 million applications a day. The benefits to entrepreneurs who need help creating online promotions, contests, coupons, giveaways and, in some cases, viral content can be vast. If any of this strikes a chord or puts you in the mood to do a little shopping, check out Facebook's updated consultant list and see what they can do for you.